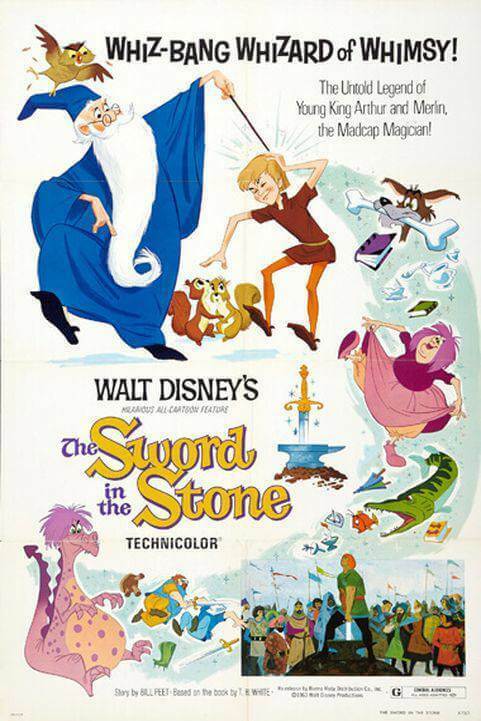 The wizard Merlin teaches a young boy who is destined to be King Arthur. violence Some scenes with Sir Hector and Kay sword-fencing, but in their defence, Hector is training Kay for the tournament that occurs later on. However, as the maid informs them about the kitchen crisis, Hector slams his sword on Kay's head, but Kay only feels pain for a few seconds. alcohol Two scenes of wine drinking. frightening There is a "scary" forest with wolves. BBFC - (U): very mild slapstick action.